Hot pepper jelly adds subtle flavor and heat to these oven fried chicken thighs. 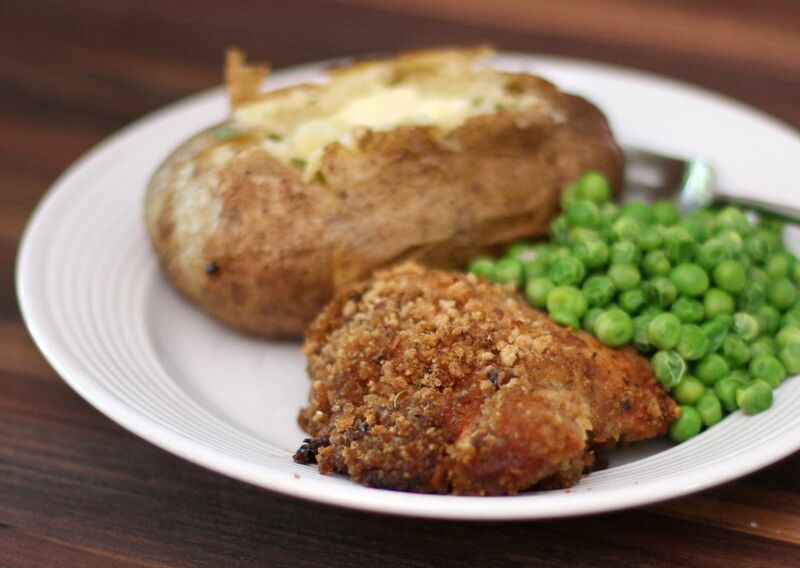 Seasoned stuffing mix makes a tasty, crispy coating on the chicken. The recipe calls for chicken thighs (pictured), but budget-friendly whole chicken legs are an excellent option as well. The chicken thighs make a fabulous meal, perfect for a busy day. There's no pre-browning required. Just coat the chicken and bake! Heat oven to 350 F. Lightly grease a large baking sheet or spray with nonstick cooking spray. Combine the jelly, butter, mustard, and pepper in a saucepan and heat until melted. Set aside to cool. Wash the chicken thighs and remove excess skin. If desired, remove all skin. Pat dry. Coat the chicken thighs with the cooled jelly mixture, then dip in the crushed crumbs. Arrange on the prepared baking sheet. Bake for 50 to 60 minutes, or until the thighs register about 165 F on an instant-read thermometer inserted into a meaty part of the thigh.